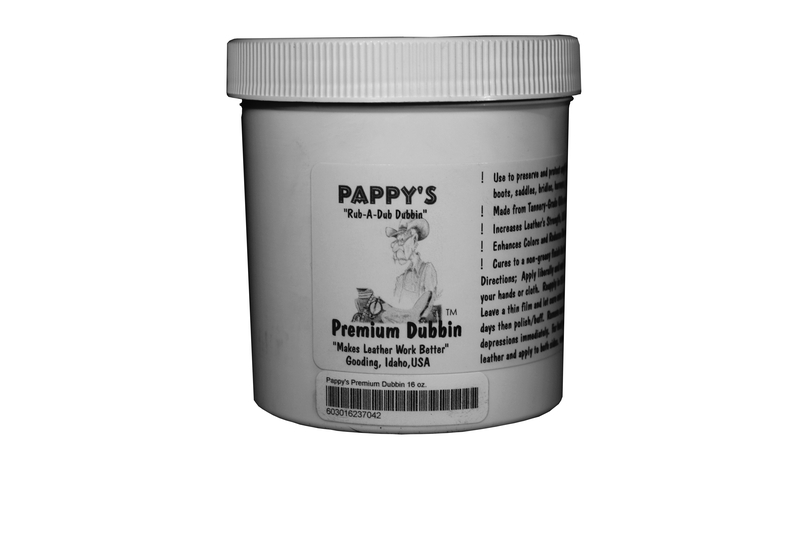 Includes 16 ounces of Pappy’s Premium Dubbin in a solid white container. Softens your leather goods, to make them feel comfortable and look good. Makes leather last longer. 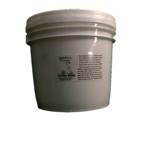 Premium Dubbin does not resist water but works with water in penetrating deep into leather. Premium Dubbin is more than just oil so that it adds body to leather and doesn’t make leather oily and soggy or spongy feeling. Adds and replaces natural oils while enhancing and maintaining the original color. As it adds natural oils it darkens but as the oils evaporate through use and exposure the leather lightens again. It’s leather Care with confidence knowing Premium Dubbin is natural and healthy for leather and not an assortment of chemicals fabricated to mimic natural oils. Adds tensile strength to leather and will not rot stitching. Pappy’s Dubbin has it’s roots in saddle making, braiding, lacing, and construction of various leather goods.